For years, Ocean Pacific has produced fragrances that combine the joy and energy of life on the water and outdoors with contemporary style. There's no better example than the original Ocean Pacific cologne for men. This dynamic and intriguing men's fragrance, introduced in 2003, provides its wearer a subtle scent of dry, fragrant woods mixed with lavendar, bergamot, cedar leather and musk. 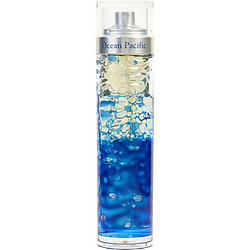 A rich cologne that emanates mystery and fun, Ocean Pacific cologne is perfect for the active man on the go. This subtle fragrance is great for all evening activities. sent bon, mais odeur forte au début! Awesome scent. Needed something new & different to wear for a friend's wedding and as a first time groomsman,I need to get my "groove" on for all the ladies out there. Ocean Pacific is my new favorite scent and the price is just right.